Lovely to see the old pub my home from 1964 until it closed. Thank you so much for sharing. My parents Les and Olive Newman were the licencees. Kind Regards, Stephen Newman. I used to drink in this pub nearly every Friday night from 1969 to late 1970 with several of my old friends who I had been at Woodhouse School with. I remember it as a very pleasant pub with a good atmosphere and a bar billiards table and its sad that it no longer exists. Thanks Richard Spencer I'm glad you have such great memories and for your very positive comments. 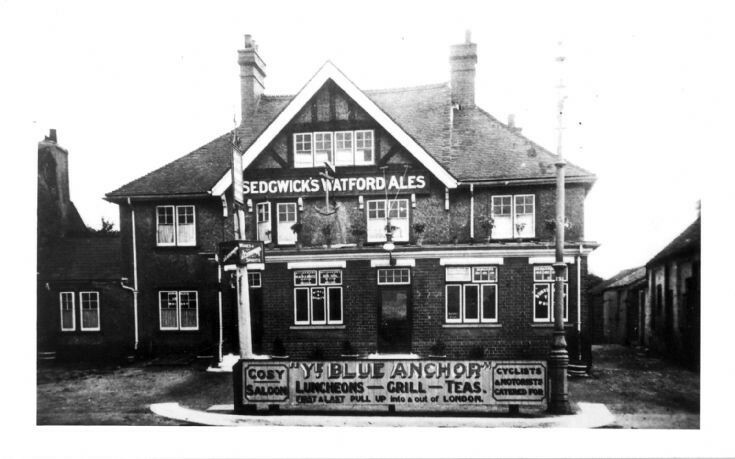 This was my parents' local during the war years. They used to put me behind the bar in my carry cot. Somewhere I have a photo of them at the bar. It was also where my (ex) husband held his stag do the night before our wedding in 1964. Some were so hung over they didn't make the wedding. This was my Dad's local when we lived at Walfield House, 1502 High Road from 1959-63. He would sit me outside on a bench with a lemonade while he had a pint or two with his mates. Sad that so many of these lovely old pubs in Whetstone have now gone.